Perfilstar S.A. was founded in 1994 althought has extensive experience over 40 years in the manufacture of moldings. 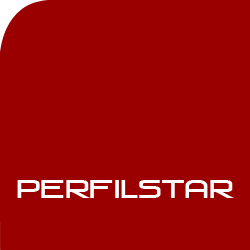 Perfilstar S.A. is one of the leading producers of accessories for laminate and wood flooring in Europe. 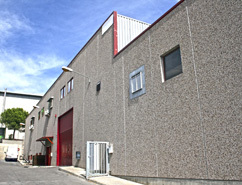 With a start in Montcada i Reixac making products for the kitchen, we are currently located in Barbera del Valles near Barcelona (about 20 minutes) and have facilities of over 2,000 square meters easily accessible from the motorway AP-7, which connects directly to Europe. PerfilStar S.A. has always pursued the objective of quality products, introducing the necessary technological improvements. 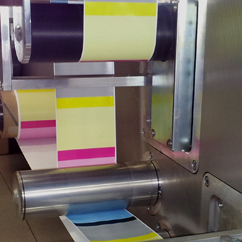 We perform most production processes internally such as molding, digital printing, the wrapping or the packaging which allows us to check that the product is delivered with the highest quality and perfectly adapted to customer needs. We customize the collections of laminate flooring, laminated wood or vinyl adjusting on the sample design of the flooring. We also have a collection of metal and lacquer that can be combined with any design of flooring. PerfilStar S.A. is a company concerned with environmental sustainability, which is why we always buy from suppliers who have the international environmental certification such as FSC or PEFC. For the sector of wooden platform can work with any wood veneer and on the other side for the laminate flooring industry have more than 1000 decorative papers. We also work with our own digital printer allows us to copy any design of timber, fantasy, ceramic, vinyl or logo, without any limitation. 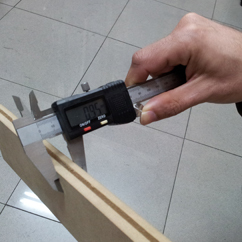 Our profiles are made based on: MDF, MDF waterproof, finger-jointed pine, aluminum and PVC compact. According to the bonding requirements can use EVA or PUR glue line. 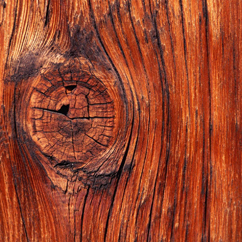 All lacquers and varnishes are highly resistant to the constraints posed by the parquet industry. 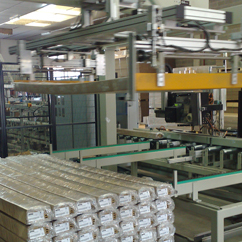 One of the main pillars of the company has always been the adaptation of technology to our manufacturing processes, all production lines are fully automated to enable the operator to devote his attention to quality control. Only done manually process wood packaging products that need an accurate visual inspection in the piece by piece for being a living material. In Perfilstar S.A. we are constantly investing in new equipment such as digital printer allows us to guarantee the quality of our products. Since Perfilstar SA is a familiy company the human capital is very important for us, this is why within our workers you will find people that have developped their professional career in Perfilstar. Our company have a team who works to give an answer to any kind of question that you can have. All our manufacturing is done within the framework of the European Community, with our factory in Spain. With the guarantee that is manufactured in Europe due to the controls at the level of safety and quality. 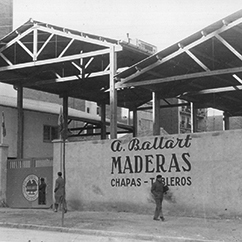 The Guild of Carpenters, Joiners and Similars of Barcelona goes back historically to the year 1257, the date on which is documented the presence of four members in the Council of the City. Among our goals, we emphasize the representation, management and protection of economic, social, business and professional of our associates and focus on modernize the sector. The main purpose of CSS is to serve the business network of Sabadell and its environs in general. For this reason, all our actions are aimed strategically in that direction. Offer our local businesses a wide range of services aimed at improving their competitiveness and strengthening their position in the market. In addition, we endeavour to support the internationalisation of our companies every year, by deploying a plan for promoting them internationally to facilitate business contacts with markets around the world and encourage exports of products and services. AECOC, born to promote the introduction into Spain of the bar code has evolved to provide the industry and distribution a collaborative framework essential to reach consumers as efficiently as possible. Since the entry of the Law 11/97 on packaging and packaging waste, all packaging companies have an obligation to recover packaging waste from products put on the market, to be recycled and recovered. And to fulfill this responsibility, are eligible for Integrated Packaging Waste Management (GIS), managed by Ecoembes. PEFC is a non-profit, open to the participation of sector or state associations, forestry, industrial producers, traders, consumers or NGOs interested in sustainable forest management. PEFC certification seal provides assurance that this vast forest area is being managed sustainably, from an environmental, social and economic perspective. We work with the company MC Prevention as our philosophy as theirs, is based on getting risk prevention in the workplace is integrated in the attitude of the worker as part of their daily routine easier by the company all the necessary tools for this.